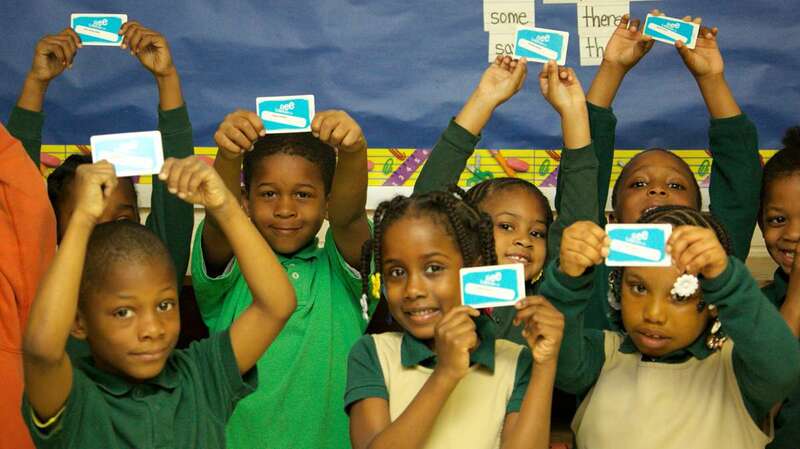 The Free Library of Philadelphia and the Philadelphia School District have teamed up to distribute personalized library cards to every student without one. 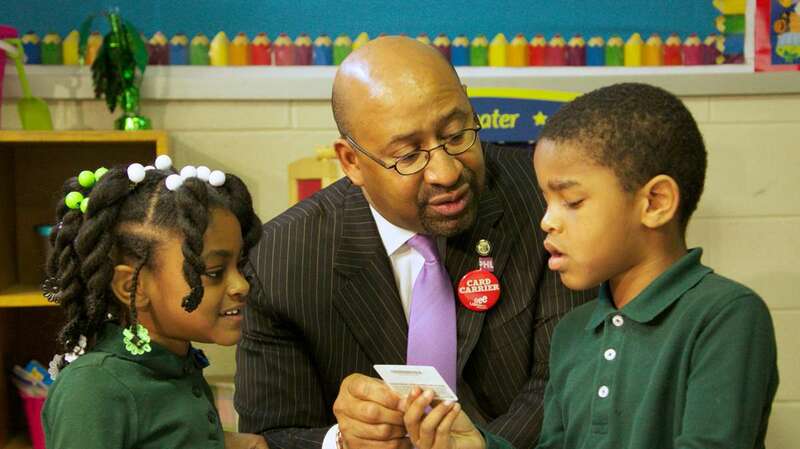 In a year that’s seen budget cuts all but eradicate librarians from the Philadelphia School District’s buildings, the district is now leaning even more heavily on the Free Library of Philadelphia to help make up for that shortfall. The schools and the library have merged their databases and determined that roughly 98,000 of the school district’s 136,000 students do not yet have cards for the city’s public libraries. Based on that data merge, the library and the district will now distribute personalized library cards to every student without one. 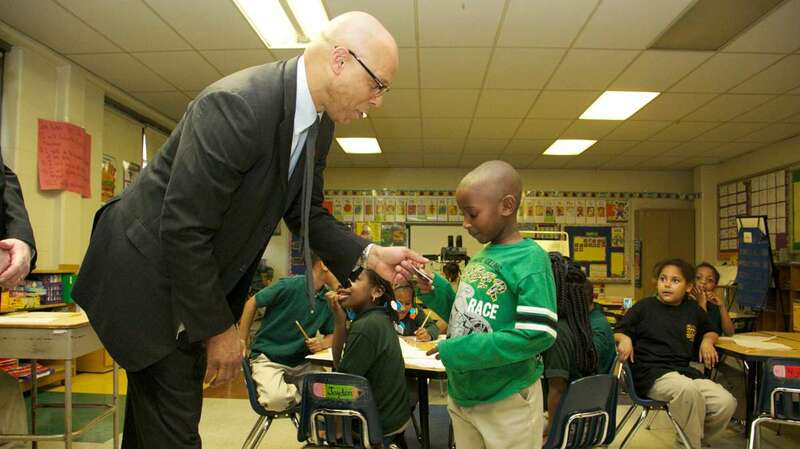 On Tuesday, Philadelphia schools Superintendent William Hite, Mayor Michael Nutter and the leadership staff of the Free Library gathered at James G. Blaine Elementary in Strawberry Mansion to distribute the first batch of cards. 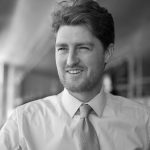 “No matter what your age, no matter what your circumstance, there’s a card that everyone should have,” said Nutter as he pulled from his wallet a red and white library card, brandishing it for the cameras to see. In 2008, under Nutter’s leadership, the city cut $8 million of the library’s $41 million budget, leading to elimination of 117 staff positions, and reducing branch hours. If approved by City Council, the funding increase would keep all neighborhood libraries open six days a week. Since the 2008 budget cuts, most of the branch libraries have been open only five days. President and Director of the Free Library Siobhan A. Reardon called Nutter’s recommitment “a significant improvement” over the library’s current budget. “I want to thank the mayor for that,” she said. In addition to partnering with the district on the card disbursement, the Free Library boasted its other resources that aid student learning, including: free Wi-Fi at its 54 branches, and free, in-person, after school homework help. The Free Library has also helped eight district schools set up their own libraries, including Blaine. According to the district, only 11 of its 212 schools are currently assigned a librarian from the central office. The district counts J. R. Masterman and Central in this number; these schools had library services returned to students in September following a $205,000 donation from an anonymous benefactor. The new website, Philly Teachers Sound the Alarm, has been rife with stories about the district’s lack of library services. In a post from Monday, Liz Taylor, a parent at Henry Houston Elementary in Mt. Airy detailed how volunteers and parents refurbished and restocked the library. The school district could not immediately confirm this report. 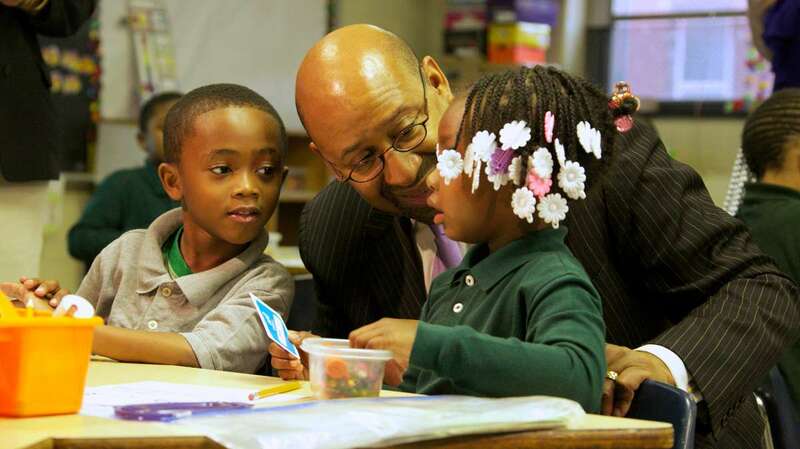 Increasing early childhood literacy is “anchor goal 2” of Hite’s vision for the district, as outlined in Action Plan 2.0. 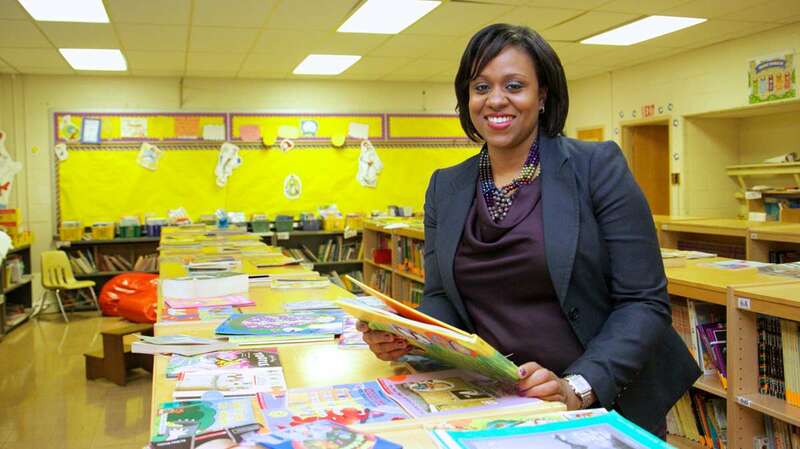 Currently, 45 percent of district third graders read on grade level. 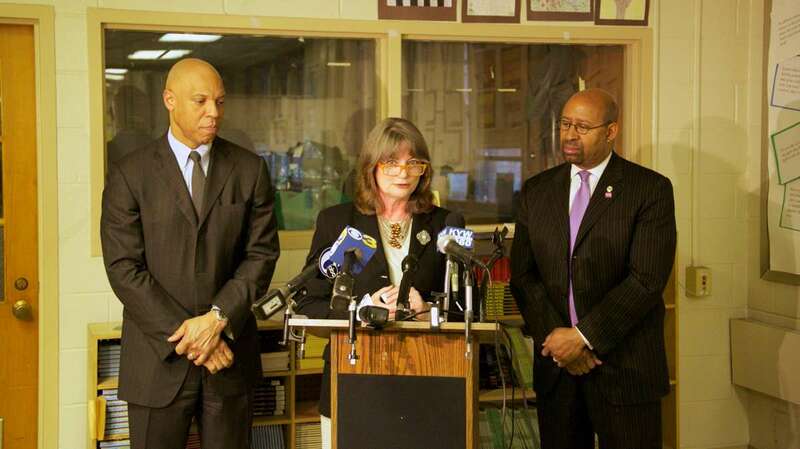 Hite’s plan calls for 100 percent of eight year olds to meet that benchmark. Hite said cards will be distributed to the rest of the district’s schools “over the next few weeks,” starting tomorrow. He urged family members and teachers to push students to actually take advantage of the opportunity. In some cases, though, that urging may come from students themselves.